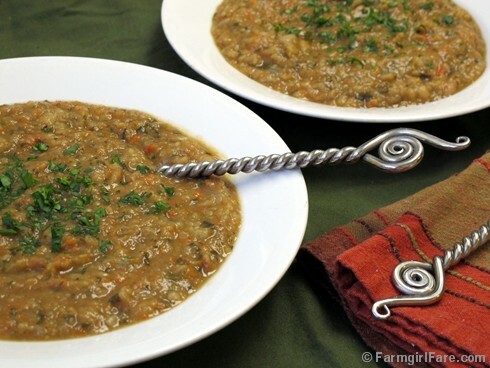 Easy cooking with dried beans: hearty, flavorful, healthy soup. American cooking has come a long way over the past 25 years. Once exotic ingredients from faraway places now line supermarket shelves and have been incorporated into classic dishes. Previously unheard of ethnic cuisines become more mainstream every day. And farmers' markets carry extraordinary vegetables and herbs that were unobtainable just a short time ago. But in this rush to embrace the exciting and new, some faithful culinary friends were nearly forgotten. One of these was dried beans. During the eighties and nineties, beans were all but left by the wayside in favor of cutting-edge, unconventional fare. Chefs and cooks across the country were too busy serving up pumpkin seed-cilantro pasta with wilted chicory and sour cherry fennel sauce to bother with the humble legume. Fortunately tastes change, and although it is still possible to dine on sea urchins with strawberries and squid ink foam, many of those now-weary fast-track eaters have decided to simplify and slow down. Old-fashioned comfort food is back in style. Elegant restaurants proudly offer mashed potatoes on their menus. Food magazines tell us that there is nothing more satisfying than having a modest pot of beans simmering on the back of the stove. Organic great northern beans are a cheap and nutritious pantry staple. Of course, some of us never stopped cooking with dried beans, for we know that they're handy, reliable, inexpensive, practical, keep for years, and are extremely good for you. In short, they're indispensable. Fresh shell beans in spring—those that have not been allowed to dry on the vine—simmered in water for 15 to 20 minutes and tossed with olive oil, garlic, and a little fresh basil are delightful. And a bed of salad greens topped with a chilled mixture of cannellini beans, chopped heirloom tomatoes, kalamata olives, lots of fresh parsley, and a garlicky vinaigrette makes a perfect light supper at the end of a sweltering summer day. Unfortunately fresh shell beans are not always easy to come by. Beg some from a gardening pal or seek them out at a farmers' market. Or you could even try growing your own. Heirloom varieties such as Black Valentine Snap Bush Beans (from 1897) and Vermont Cranberry Beans (grown in New England since the 1700's) are dependable, delicious, and downright beautiful. But winter is when dried beans truly come into their own, and there are two reasons for this: temperature and time. If you're stuck indoors during a blizzard, the obvious thing to do is cook, and the obvious thing to cook is something that will simmer on its own for hours, fill the house with warmth and a heavenly aroma while it is simmering, and ultimately taste delicious. Something truly magical happens to garlic when you roast it. 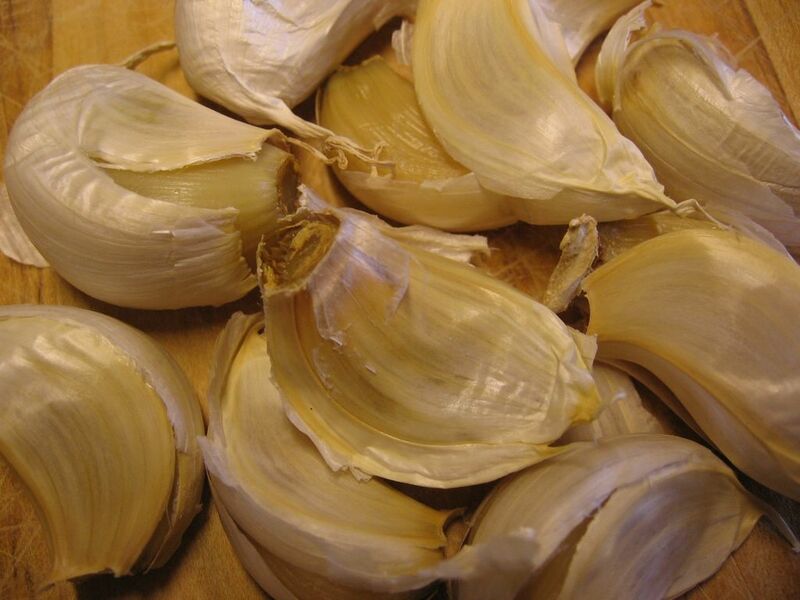 Learn how easy it is to grow your own garlic here. This thing is white bean soup. And although the calendar clearly states that spring has sprung, many of us are still waking up to icy mornings and brisk, wintry-type days that call out for warm and cozy fare. Soup season has definitely not ended. Dried beans do need to be soaked in water for several hours before cooking, so when you wake up on a Saturday morning and see dark and stormy clouds outside the window, immediately head to the kitchen, fill up a pot water, and toss in some beans. Then crawl back into bed and dream about dinner. This hearty soup, which is so thick it should probably be called a stew, is so simple it can be made by nearly anyone. It can also be eaten by nearly everyone: it's vegetarian, vegan, dairy free, and fat free, and any ingredient except for the beans and water can be successfully omitted if necessary. In addition, it's really good for you. But most importantly, it tastes delicious. Dried beans, garlic, potatoes, onions, carrots, parsley (which is the world's most popular herb), and even rosemary and thyme are all some of the World's Healthiest Foods. Like my Hearty Lentil Soup with Smoked Sausage, this recipe was a big hit at my Cozy Breads & Soups cooking class. It has a lot more flavor the second day. I even like it cold. And if all that isn't enough, it's also cheap to make, especially if you grow some of the ingredients—such as the turnips, onions, garlic, or herbs—yourself. Roasting the garlic adds tremendous flavor but little effort. You'll end up with about three quarts of soup, which should feed four to six people as a main course. If you're lucky enough to be serving only two or three people, you'll be able to freeze the leftovers for a day when the sun keeps you outdoors, and all you desire in the kitchen is instant gratification. As always, I urge you to seek out local and organic ingredients; they really do make a difference. A digital kitchen scale is such a handy thing to have. I love my 11-pound Oxo Good Grips scale and often use it several times a day for weighing everything from onions and potatoes to bread dough and postage. Place the beans, water, rosemary, thyme, fennel seeds, and bay leaf in a 6-quart (or larger) pot or Dutch oven. Bring to a boil and then simmer, with the lid cracked, stirring occasionally, for 1 hour. Meanwhile, place the garlic cloves in a small oven-proof dish, sprinkle with water, cover with foil, and roast at 350° for 30 minutes. Let cool; peel. Add the turnips, potatoes, onions, carrots, salt and pepper to the bean mixture, return to a boil, then simmer, with the lid cracked, stirring occasionally, for 1 hour. IMPORTANT NOTE: After you add all the vegetables, you may think that the soup is going to be way too thick, and that more water is definitely needed. It is not. It will be fine. Lots of liquid will cook out of the vegetables, plus what you want to end up with is a very thick soup. After simmering, remove the bay leaf. Carefully purée the roasted garlic and 2/3 of soup mixture in blender (in batches) on low speed until still slightly chunky. Return to pot of remaining soup. Stir in the parsley and simmer, with the lid cracked, stirring occasionally, for another 30 minutes, or until the beans are completely tender. Salt & pepper to taste, garnish with fresh parsley if desired, and serve. Don't skimp on the salt; it brings out the flavors of the ingredients. Store leftovers for up to three days in the refrigerator or freeze. —By all means, use 1 mounded Tablespoon each of fresh rosemary and thyme (which are both easy to grow) if you have them. —A bowl of this soup, a nice green salad, and a loaf of warm, homemade bread (some beyond easy beer bread, perhaps?) make a well-rounded meal. If you're serving people who must have meat every time they eat, a plate of good hearty sausages, such as bratwurst or kielbasa, could be grilled or pan-fried and served along with the soup. Or thickly slice the sausages on a diagonal and set several slices right on top of each bowl of soup. —Make it a celebration of spring. For those fortunate enough to have access to the first vegetables of the season, you might consider making this recipe using half the beans and twice the number of vegetables—all baby versions. I haven't tried this yet, but I imagine that it would be splendid. You might only want to purée 1/3 of it, so that the chunks of individual vegetables remained more visible. © FarmgirlFare.com, the spoonfed foodie farm blog where Farmgirl Susan shares recipes, stories, and photos from her crazy country life on 240 remote Missouri acres—and one of the nicest things you can do during winter is curl up with a hunk of bread and a cozy bowl of homemade soup. If Laurie Colwin were alive today, she would write like this. And if you aren't familiar with Laurie, you are SO going to enjoy her "Home Cooking" books whenever you find them and read them. So far, I love your blog! You are so right Susan. For me, beans never dropped off the radar. Looking forward to trying this one, rain or shine. Raised Italian, I assumed everyone ate beans frequently -- this recipe reminds me of my Mom's spring dish, and I urge you to try putting some small dandilion greens in a portion of this soup and serve it with a drizzle of olive oil and some cheese across the top of each bowlful. Welcome to the farm! Yes, I do know (and love) Laurie Colwin's "Home Cooking" books--and I am extremely flattered by your comment. Thanks so much! You can't get much healthier than this soup. Well, I suppose you could double the garlic, LOL. Feel better, dear friend. Glad to hear there's another tried and true bean lover among us. Can't wait to hear how you like the soup. No more urging required--your serving suggestion sounds absolutely delicious. Thanks! I have some nice white beans I bought a couple weeks ago. This may be the recipe I use on them. It sounds wonderful. When you food blog, it's always a good one! So after letting my beans soak for over three days (quite by accident! ), I finally made this soup last night. I'm blown away by the difference that one teaspoon of fennel seeds makes in soup! It totally mellows it out somehow, I can't even describe it. I had no turnip so added some languishing cabbage and frozen green beans to mine. I was also out of dried thyme (quel horror!) so doubled the rosemary. It came out so good, I can't wait to dig into it this afternoon! Thanks again, Susan, for another great recipe! I adore thick bean soups, and find the process of preparing them as comforting as, well, a big bowl of thick bean soup! The roasted garlic is an intriguing addition. Healthy, hearty, flavourful and economic ... Wonderful! Yum yum yum yum!!! Made this last night along with a batch of your beer bread and it was so delicious! Thanks so much for sharing, and i love your blog! I shall give your recipe a try soon! I was introduced to white bean soup relatively late...in my thirties. I wonder if it's because I'm in the South and we just don't have a lot of white beans...but oh what I missed, and I am thankful for this wonderful recipe. We tried this recipe out yesterday and I must say we truly loved it. We did make a few modifications--because I was feeling under the weather I doubled the garlic and also I could not find turnips anywhere so I substituted in cabbage. For lunch today I had a reheated bowl with a little hill of freshly grated parmesan on top--divine. Thank you so much! 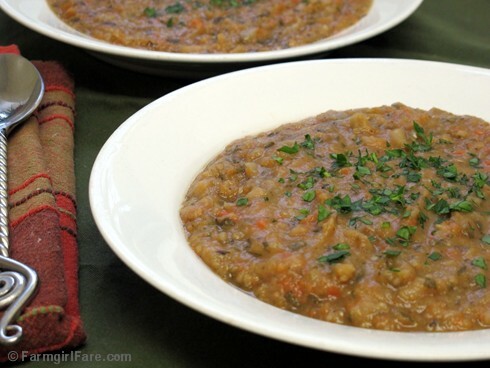 We always use ham or bacon in my family's bean soups so it was refreshing to see this even more frugal take on it. I made this soup one snowy weekend. It was even better the next day. I will definitely make this again. It was fantastic and was great comfort food. Cook's Illustrated reported that beans have better flavor if not soaked, but simply put in dry to cook. You have to extend the cooking time, but it works fine. I now cook dried beans this way regularly. It's easier than doing the pre-soak, and the beans come out fine. 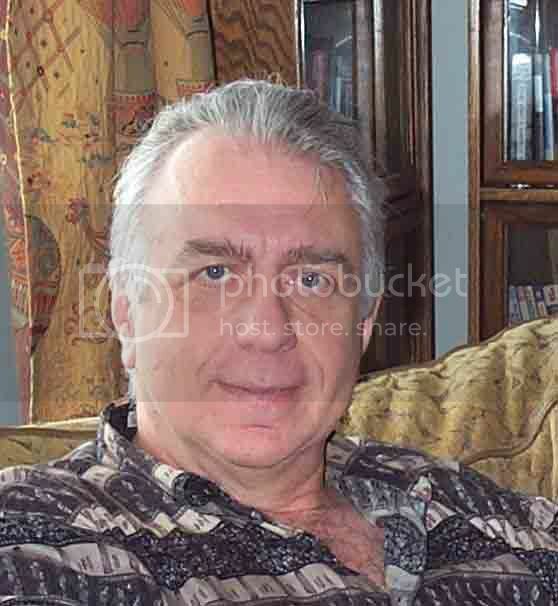 I just discovered your site 2 days ago. Right now I have th White bean soup simmering, it is at the stage before you add the vegetables, and even so it smells so good it is driving me crazy. I have really enjoyed your blogs and have printed out many of your recipes to try. Oh, BOY, I've got the beans soaking and I'm going to make this right now. What a wonderful story and blog. You just made my day. I made this soup last night and it was wonderful! It's a perfect dinner on a blustery March evening. I ate it with swiss cheese and sourdough bread...mmmmm! Just found you & love this site already! 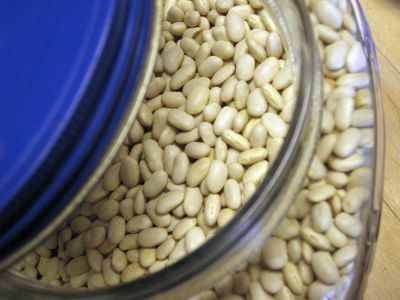 I recently discovered heirloom dried beans & other yummy foods at ranchogordo.com. It's fun experimenting with the unusual beans & their blog is fun, too. Just finished making this, haven't tried it yet, but it smells wonderful! - serve with a tablespoon of cream or half'n'half swirled across the top - should make a fabulous contrast to the orange soup! - add 1 cup whole milk during the last simmer for a slightly richer, creamier soup. - toss in a ham bone during the first hour or two of simmering for that lovely pork flavor. - replace some or all of the water in the recipe with vegetable or chicken stock. Can't wait to have this for dinner tongiht, and keep up the good eats! I just stumbled across this recipe and, before I try it, I just want to double check - that's 2 cups of dried beans, right? Not 2 cups of beans after they've soaked (and swelled)... Thanks!! i just made this recipe last nite for some friends and liked it but had to modify it a bit. Seemed like it needed some sort of acid to balance it out a bit- lemon or vinegar (we added some white wine). Also veg or chicky stock would be helpful in adding flavor. love your blog, especially your lamb pics! thanks for sharing. wow...sounds yummy. Searching for size of shuko pac choi at harvest & got sidetracked. Recipt for Coconut-Lemon Bread (2 favorites) drew me in. I use a Fagor Pressure cooker almst daily as my favorite most essential cooking tool so I was surprised I din't see any pressure cooking recipes. They are so awesome for creating nutritious and quick meals in minutes. Got to get back to planting potatoes, peas and pac choi but I will return here. crazy question, but I love the handles of what I think are the spoons peeking out of the soup. Is that true and if so, can you give more info on them? Are they available for purchase? Are they part of a complete flatwear set, etc? thanks and the soup looks/sounds wonderful for these cold nights! Aren't those spoons fun? I bought them several years ago at World Market. All of the pieces in that pattern (including some itty bitty spoons, forks, and knives) were sold individually, but their inventory changes so much, I don't know if they still carry them. It's very cold in the Northeast, and today was a perfect day for trying out this soup. I eliminated the potato and added extra turnip, and finished it off by adding--pan drippings and all--hot Italian turkey sausages sauteed in olive oil. I might end up adding a touch of acid (white wine vinegar) for balance as well. I am SO pleased that vegetable or chicken stock isn't necessary for good flavor! I was a bit hesitant, but I should trusted that your recipe would come through. Every single other recipe I've made from this site has been a flavorful marvel. Thanks for another winner! Yum, this looks really great, I'm going to give this a try.